For San Francisco homicide detective Valerie Hart, their trail of victims--women abducted, tortured and left with a seemingly random series of objects inside them--has brought her from obsession to the edge of physical and psychological destruction. And she's losing hope of making a breakthrough before that happens. 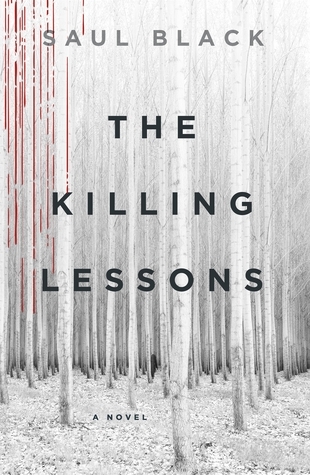 Review: This book starts out strong-strong and extremely violent. A woman and her 2 children live in a remote Colorado town and never even bother to lock the front door. Their life is forever changed when two psychotic killers walk right in. Detective Valerie Hart has been chasing these killers for awhile and will stop at nothing to find them. This book started very strong and I liked the point of view of both Valerie and the killer. Valerie herself was your typical "this case has turned me into a functioning alcoholic detective that is good at my job but a hot mess in my personal life" that seems commonplace these days but I still enjoyed her as a character. It did drag in the middle and the 'big break' of how Valerie identifies the killer was beyond comprehension. I'll refrain from spoilers but I don't see that ever happening in real life. Huge reality jump. Overall, I enjoyed this one.